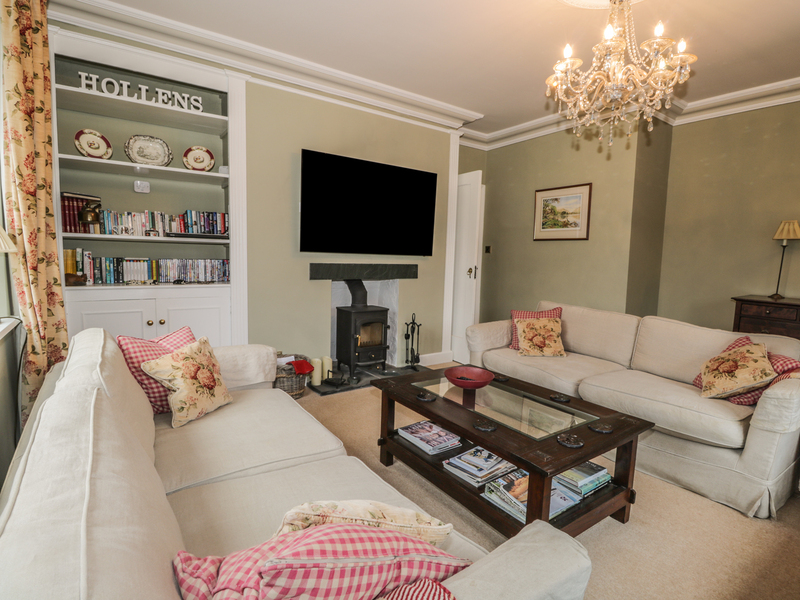 Hollens Farmhouse is a charming 17th century property ideally located just a short walk from the famous village of Grasmere and within easy reach of some of the Lake District's most spectacular scenery and towns. It sleeps eight people with four bedrooms - all of which include en-suite facilities. The living accommodation is on the first floor to make the most of the breathtaking views from this property, with two bedrooms on the ground floor and two more on the first floor. Outside there are delightful lawned gardens and a patio with a decking area that offer views of Grasmere and nearby fells. Private parking for two or three cars. 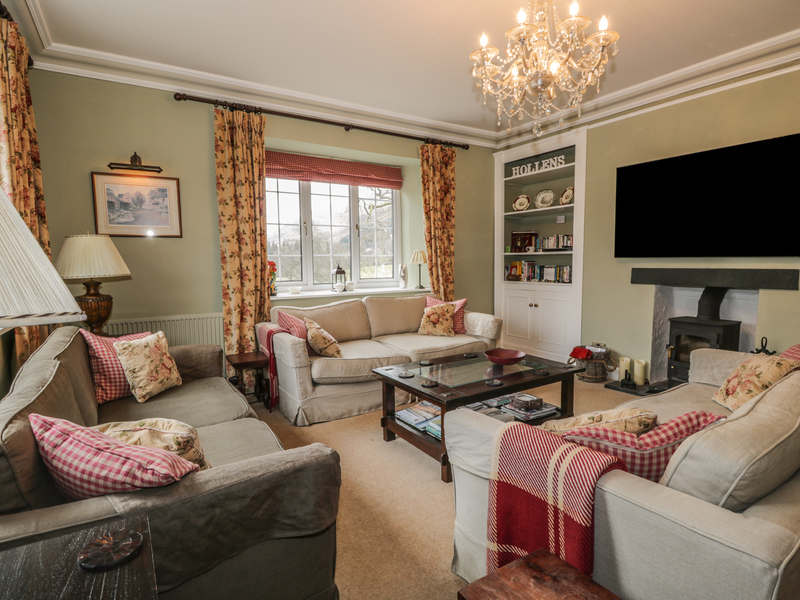 Situated just a short walk from the centre of Grasmere, this property with original features is the ideal base from which to explore the Lake District. Spread over two floors. Two bedrooms are downstairs: 1 x double antique French bed with en-suite bathroom, shower room, hand basin, WC and 1 x twin bedroom with en-suite bathroom, shower over bath, hand basin, WC and washer/dryer. Two further bedrooms on first floor: 1 x double with views and en-suite shower room, shower cubicle, hand basin and WC plus 1 x twin bedroom with en-suite bathroom, shower over bath, hand basin and WC. First floor kitchen/dining area. First floor sitting room with woodburning stove. We also have details of 43 other similar properties nearby which might suit you.